Benue State Governor Samuel Ortom has urged President Muhammadu Buhari to upgrade Exercise Cat Race to a full military operation. The governor made the appeal on Monday during a meeting of stakeholders at the Government House in Makurdi, the state capital. The Nigerian Army had launched the new exercise code-named “Ayem Akpatuma”, to tackle the crises between herdsmen and farmer as well as cases of kidnapping in some Northern states. The exercise was launched to run from February 15 to March 31 in Benue, Taraba, Kogi, Nasarawa, Kaduna and Niger states. Despite the presence of soldiers in the region, Benue and some states have continued to witness more killings as a result of the herdsmen-farmers crisis although some arrests were made. 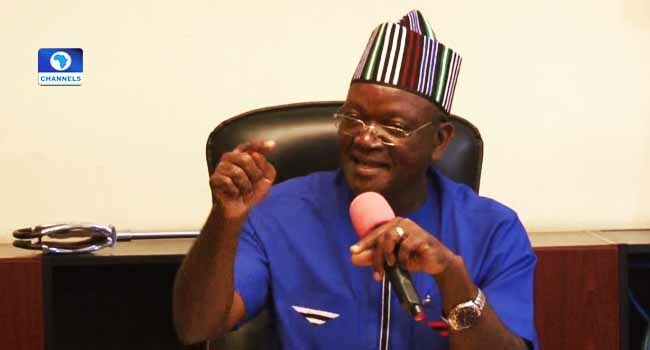 In a bid to stop the bloodshed in his state, Governor Ortom told President Buhari who was also at the meeting that upgrading the exercise into full military operation would go a long way to tackle the killings. He noted that the attacks by armed herdsmen predated the current administration, stressing that the recent attacks have displaced 170,000 people with children of school age constituting 60 per cent. The governor further called for compensation for victims of the attacks and rebuilding of destroyed houses and farms. He also appealed to the Federal Government to fix some major roads in the state and take over the state polytechnic and college of education among other demands. On his part, President Buhari appealed to leaders of various groups in Benue to convince their constituents that the Federal Government is doing its best to end the recurring attacks by armed herdsmen. He said, “The governor and I, and others here know that we will leave one day, but the relationship between farmers and herders will continue. I urge you to keep in touch with them and advise them to live peacefully.